A women’s event for this fast and physically demanding sport was introduced to the Olympic programme in 2000. For success, players need to be excellent swimmers, have strength and stamina and the ability to play in a team. 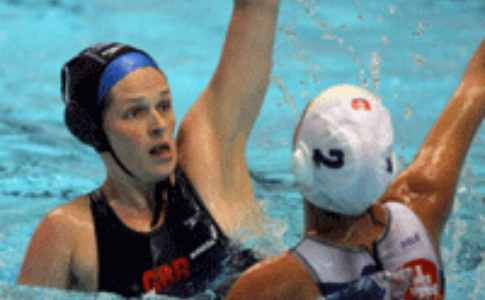 Fran Leighton, who has been captain of the GB squad since 2002, and Rosemary Morris. Who’s the gold medal favourite? It’s a tough call. Although a gold medal isn’t likely, the GB team may have a chance of medalling – they’re continually improving and training in the Hungarian domestic league will have done wonders for their Games preparation. The whole competition will see approximately 800 Water Polo balls used.